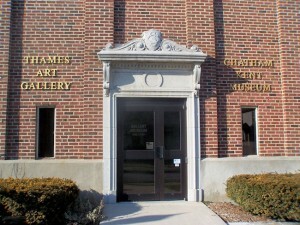 The Chatham-Kent Museum has a little something for everyone this Christmas season. Milner Heritage House will be open to the public to show off its decorated 1905 splendor Friday, December 4. Admission is free of charge. On December 5 the Chatham-Kent Dickens Fellowship along with the Chatham-Kent Museum will be hosting a traditional Victorian dinner with all the trimmings. The evening will commence with an exclusive reception and viewing of the Milner House from 6 p.m. to 7 p.m. The dinner is catered by Rossini’s Restaurant and will take place in Studio One of the Chatham Cultural Centre. Guests will be able watch the 1938 classic, “A Christmas Carol”. A cash bar will also be available. Tickets for this event are $50 per person. The Chatham-Kent Museum will be hosting an adult gingerbread house workshop on Thursday, December 10 at 7 p.m. The $25 fee will include everything needed to construct and decorate a gingerbread house. Hors d’oeuvres and one beverage are also included. Come out for a relaxing evening and leave some of your holiday stress behind. This event is limited to those of legal drinking age. On Saturday, December 12, there will be two performances of “An 1810 Visit with Saint Nicholas.” Saint Nicholas will share the stories of the first Christmas tree in Canada, what he wore before the red suit and many other Christmas traditions. This performance is in support of the Salvation Army and admission is by canned good or donation. Register by calling (519)354-8338, by visiting the Chatham Cultural Centre Box Office at 75 William Street North, or online at www.cktickets.com.